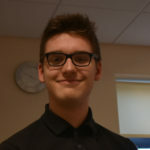 This is Ethan Vowle’s final blog at the end of his 7 week placement with us as part of his Tresham College Traineeship Programme. 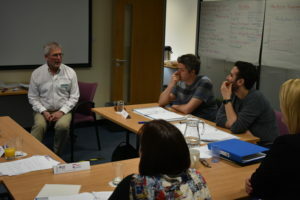 Ethan observed the delivery of a two day People Management Skills course to 5 people from four different organisations. These are his observations and thoughts. 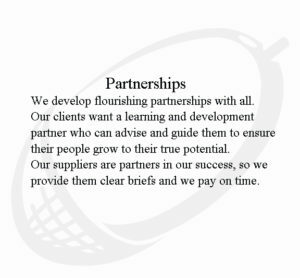 This blog is all about a 2 day training course that I was observing and participating in on the final 2 days of my placement with The Development Company. On the first day, at roughly 9am, all the people taking the course entered the room. Some of the participants were more cautious and quiet because of the unfamiliar environment. Adrian greeted each of them enthusiastically and did his best to get everyone used to him, the new environment, and the other people in the room. I could tell as the course moved on that some participants got used to the new people around them more quickly than others. For example, the two women on the course seemed to get along with each other almost immediately whilst the men were a lot more reserved and stayed quiet. The communication between Adrian and his course participants was immensely different to my experience of school or work. At school, conversations are very one sided and formal with a teacher just talking at their students. 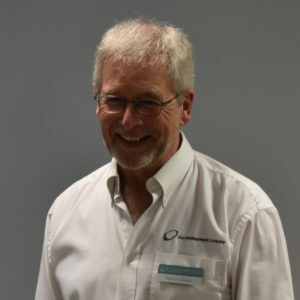 However on this training session, the conversation was much more balanced and informal, showing that Adrian saw the participants as his peers rather than his students. This makes learning a lot easier because the participants can actually get involved in the learning, instead of being talked at. At the start of the course, the participants were very reluctant to take part in the activities that Adrian planned. The icebreaker activity needed each person to tell the group an interesting fact about themselves and what their job was, but only using pictures. The idea of this activity is to get everyone to be more creative as that was essential for the rest of the course. After Adrian had presented his own job and interesting fact, the participants were very hesitant to share their drawings for about 30 seconds, until one member of the group volunteered. This made it a lot easier for everyone else to get out of their comfort zone, stand up in front of everyone and share their facts. 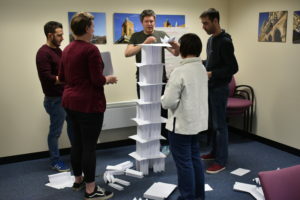 This exercise allowed all the learners to become better acquainted with the other people in the group, and made it easier for them to get involved in discussions. The participants remained engaged through the sessions but sometimes became disengaged. I could tell that learners were disengaged when they fiddled with things on the table or were looking elsewhere in the room. The body language of the participants gave a good indication of who was listening and who wasn’t, as some members of the group were slouching in their chairs. The energy level of the group was especially high during questionnaires and practical activities as all members of the group were communicating and working together. Everyone was interacting with the course and this was when I feel that people were learning the most. On the other hand, energy seemed low right before and after the breaks, because the group was not in the right mindset for learning. Adrian could see when everyone was becoming disengaged and needed to relax, so he would call a break in order to get the group involved and energized when they came back. Break times were very social as everyone gets together, has a coffee, and gets to know each other more. This is extremely useful for Adrian as it gives the group a time where they can interact with each other and become more comfortable around each other, making the activities on the course a lot easier for them. It is a lot easier to learn in this environment than it is at school. In a group of 5 like we had in this session, Adrian’s training can be much more focused and tailored to the individual people in the group. In an average school classroom there are 20-30 students, meaning that the teaching is very generic and there is very little one to one interaction between a teacher and a student. Adrian’s teaching style is also very different to what happens in a school. Whilst a school teacher teaches their students by telling them all the answers, Adrian asks the group a question and lets them find the answer themselves. Allowing the group to find the answers themselves helps the learners to get involved in the session and learn more rather than sitting and observing as Adrian tells them all the answers.